Perhaps one of the least known Frankincense types in the western world, but one of the most prized in Arabia and Africa, Boswellia Frereana is native to the Somali Puntland the Somaliland highlands, and is their pride and joy. In Somaliland and neighboring regions, Maydi is considered the King of Frankincenses. 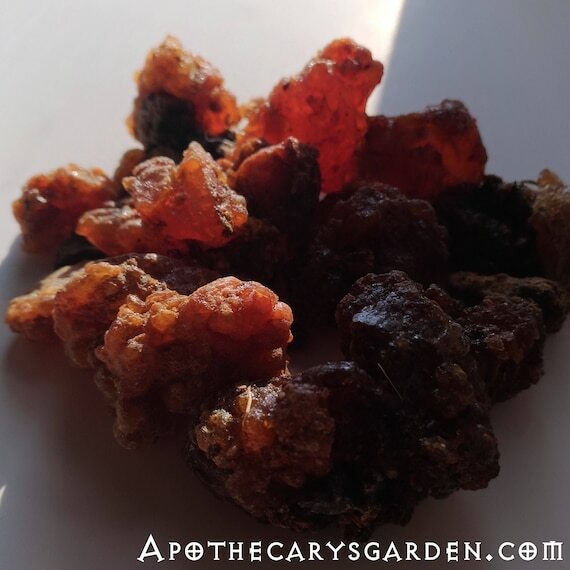 With a sweet and warm amber fragrance highlighted by spice, and floral notes, Frankincense Frereana differs from most other types of Frankincense with its pure oleo-resin content and lack of water-soluble gum. 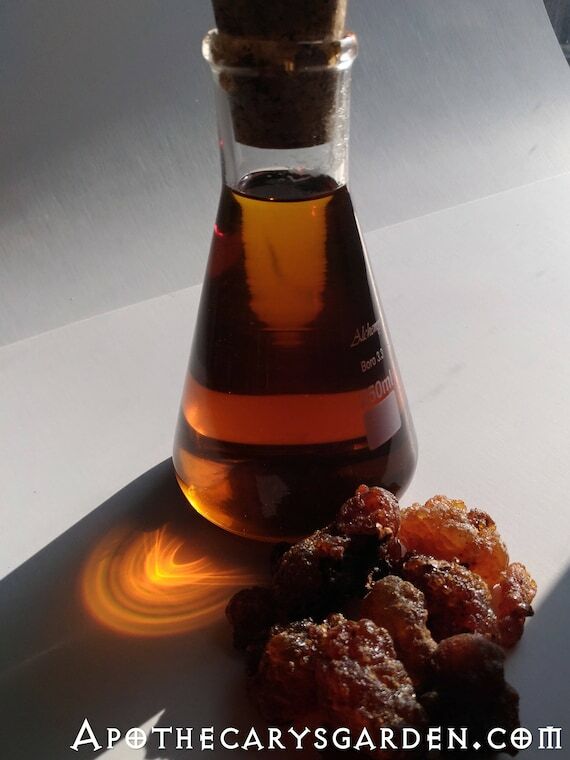 Harvested from fewer trees over a much shorter period during the year, Maydi, or Boswellia Frereana, is not as abundantly available as the other more familiar types of Frankincense. It is bought up quickly by the Coptic church, Saudi, Omani and Yemenite dealers, and much of it is used domestically. Maydi is burned in Somali homes to sweeten the air after cooking, to add fragrance to clothing and used on special occasions. The Somalis have a traditional amber type incense they “cook” up, made from Frankincense Frereana and other local ingredients called “Uusni”. A recipe I hope to eventually discover. ( Any insights or advice would be greatly appreciated!). 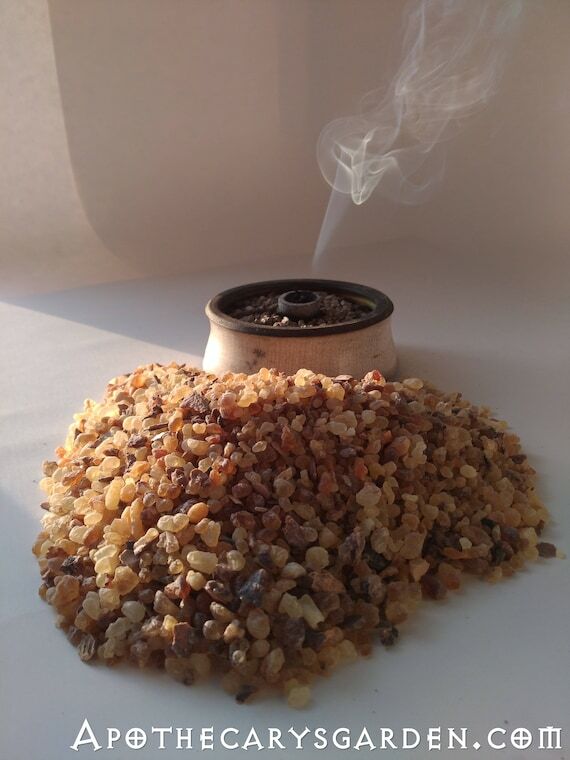 The west sees very little of this precious Frankincense. Averaging around 99% oleoresin with barely any water-soluble gum content, (as compared to 20% -35% in Boswellia Carterii/Sacra and other types), this Frankincense is all fragrance. Maydi is used in its unprocessed state as a natural chewing gum, locally and in Arabian nations, for this reason it is also known as “Yemenite Chewing Gum”. Due to its lack of water-soluble gum, it does not deteriorate in the mouth with warm saliva, but holds its form indefinitely, releasing healing oils and resins for extended periods of time. Even after chewing B. Frereana for hours, the used oleoresin still releases heavenly fragrances on the hot coals. Legend says Maydi trees were transplanted to Yemen many decades ago, but the demand for Boswellia Frereana in arabic countries far exceeds quantities grown outside Somaliland. It is an easy to use ingredient in Bakhoor, powder and formed incense, and due to its near complete solubility in alcohol and its affinity with oils, it is perfect for making , cremes, salves, tinctures and many other natural cosmetic, fragrant and healing products. Akin to Elemi, B. Frereana is an excellent oleoresin for mature skin and signs of aging. For the incense makers and connoisseurs out there, another little known fact about Frankincense Frereana, is that as an incense, it burns clean on the charcoal, pools with the heat and melts into it, leaving no charred water-soluble gum or unpleasant secondary fragrance as do other Frankincense types and Myrrh. Boswellia Frereana essential oil has a light yellow colour and a unique set of defining chemical markers. It has an olfactory signature distinct from all other types of Frankincense. It is high in α-pinene (38%), p-Cymene 11%, a-Thujene 8.1%, limonene (2.4%), sabinene (2.6%), trans-verbenol (4.2%) and bornyl acetate (2.8%), contains dimers of α-phellandrene and close to another 30 odd compounds in varying amounts. These consituents are present in the, Oleo, or volatile, hydro distilled essential oil portion. The resin portion of this fragrant species holds many more therapeutic and fragrant constituents, similar to other well-known and esteemed healers such as the various Frankincense types, Mastic, Spruce Fir and Pine. I have started purchasing from a cooperative of families and tribes that have tended their Maydi, Myrrh and Sweet Myrrh, (Opoponax) trees for generations in the highlands of Somaliland. Collection of the resins is a yearly tradition the whole family and tribe participate in, and through which they earn their yearly wage. Besides their value as a source of livlihood, these trees are an important part of the tribe’s culture. Often trees are reserved unharvested for decades to be bestowed as dowry or as an inheritance. Due to past conflicts in the area there is no government legislation, control of pricing, or supervision of trees and harvest. No big brother to watch out for the harvesters. The harvesters have been susceptible to theft, vandalism of trees, and unscrupulous buyers.This has changed since establishment of the co-op, and money is regularly being reinvested in schools, medical facilities, communication and transport. This is a social and economic endeavor worthy of our support. I hope to visit the cooperative this winter if at all possible, while working in Ethiopia on the ethical Civet project. Fresh 2013 harvest of Frankincense Frereana oleoresin from this co-op is now available for sale in the Etsy store. You can click on the photo below, or in the sidebar to check it out. Showcasing the versatility of Frankincense Frereana, I have just made a batch of a new moustache wax, I named it “Abyssinian Twirling Wax” and posted it in the Etsy store if you would like to try it out. It is a unique summer Moustache Wax, which easily creates and holds moustache embellishments and twirls, even through hot summer days and overnight romps. The fresh Frankincense resins in this wax help train and “perm” facial hair. The fragrance of fresh beeswax, Cocoa butter, Maydi, Frankincense Rivae and Labdanum is heavenly. Another new “Maydi” product posted in the shop, is my Frankincense Frereana Rejuvenative Creme” which utilizes the therapeutic in both the essential oils and the resin portion of Frankincense Frereana. We have come to think of a plant’s essential oils as representing the healing properties of the plant, but in the case of our oleoresins, we miss out on what is often 95% of the healing compounds available to us. For this reason, I consider this a “Holistic” product that maintains the natural synergy between the oils and resins and brings us a product much closer to its natural form. Abyssinian Twirling Wax. A Frankincense based Moustache wax. And for T.B. and all the rest of you that are waiting patiently for Part 2 of “How to distill essential oils from Pine, Fir and Sruce saps”, Hang in….. I’m almost there :-). Hi. Is frereana or carterii the best for skin care? WAnt to buy but am confused on which one is better. How are you recently? Hope you are fine on everything with yourself. I have been sent you an email a few days ago with my wishes to you have time read it. Anything just God blesses you there. Please reply me by email as privacy. Great news about the Somalian community. I shall email you tomorrow, Dan.